The University of the Fraser Valley women’s basketball team punched its playoff ticket thanks to a season-high offensive output, beating the UNBC Timberwolves 88-75 in Prince George on Friday. The Cascades’ trio of post players led the charge. The red-hot Katie Brink racked up a game-high 28 points on the strength of a terrific shooting performance (8-of-13 from the field, 12-of-15 from the free throw line), and she’s now scored at least 17 points in each of her past six games. 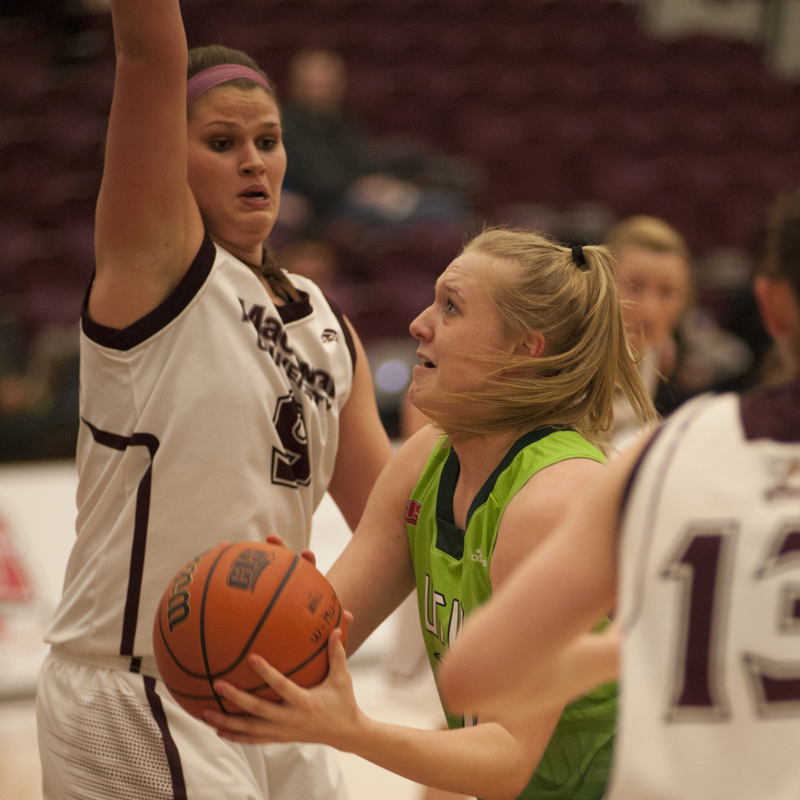 Two-time reigning CIS female athlete of the week Sarah Wierks, meanwhile, posted 23 points and 14 rebounds. Shayna Litman, who had missed the Cascades’ last six games with a knee injury, was extremely efficient in limited action off the bench, racking up 11 points in just 12 minutes. The Cascades improved to 10-7, officially snuffing the slim chance that the Mount Royal Cougars (6-11) could catch them for the third and final playoff spot in the Explorer Division. The Cascades shot a modest 38.2 per cent from the field, but drew fouls at an incredible rate – they shot 40 free throws on Friday, and made 31 of them. UFV doubled up on the T-Wolves in the first quarter, building a 26-13 lead, and they stretched it to 49-33 at halftime and 73-52 at the end of the third. UNBC came alive in the fourth quarter and cut the deficit to 11 points with just over two minutes left in regulation, but Nataliia Gavryliuk drilled a three-pointer on the Cascades’ next possession to effectively end any hope of a comeback. “Tonight was the first time in a long time that we’ve had our entire roster healthy, and it’s exciting to clinch a playoff berth with our entire roster,” Tuchscherer said. The Cascades and T-Wolves renew hostilities at 5 p.m. on Saturday in Prince George (webcast at ufv.canadawest.tv).